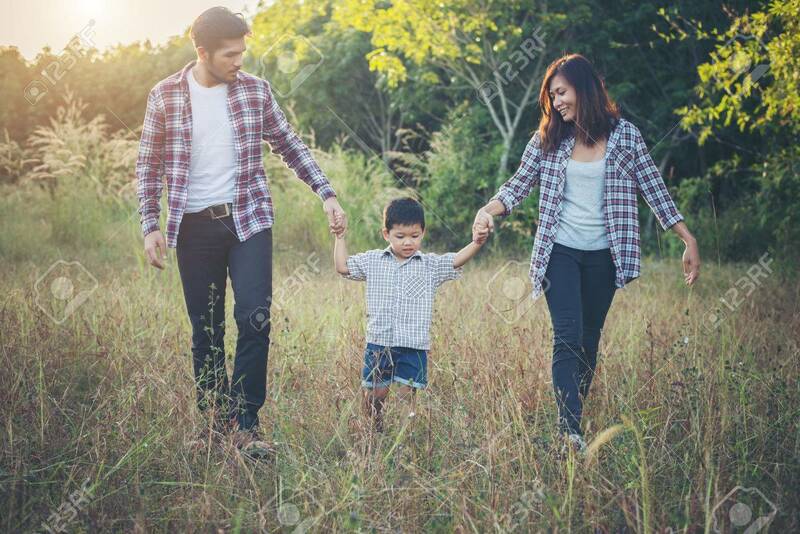 Happy Young Family Spending Time Together Outside In Green Nature Park. Family Love Concept. Banco De Imagens Royalty Free, Ilustrações, Imagens E Banco De Imagens.. Image 77501047.